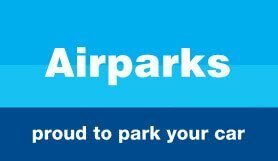 Airparks is unable to carry bikes, surfboards, canoes or other large objects that will not fit into the luggage racks on its buses. If you are bringing large items with you we suggest you drop them off at the airport before parking your car. Remember to check beforehand that your airline will accept them for carriage. Park in one of the arrivals bays and head to reception to check in. You should have a copy of your booking confirmation with you. You'll need to leave your keys with reception, as your car will be parked for you. You'll be given a ticket, which you should keep safe as you'll need it when you return. Then just wait for the shuttle bus to the airport in the waiting area. You'll need to show your ticket to the driver. Just catch the shuttle bus back to the car park from bus stop A - the same place that you were dropped off at. You'll need to show the ticket you were given when you checked in to the driver. After you've collected your keys from reception, just drive to the exit barrier, and scan the barcode attached to your keys to get out. If you lose your ticket, you'll need to answer some security questions and show a photo ID, so make sure you have one. Exit the M42 at Junction 6, and follow signs for A45 towards Birmingham. Go past the airport turning. 1 mile on, with the Holiday Inn Hotel on right, go straight over the traffic lights. 1.3 miles further turn right at overhead set of lights towards Garretts Green. Follow signs for "Off Site Parking (Airport) Site A". At roundabout turn right, go straight on for approx. 0.5 miles, & turn left into Mackadown Lane. Entrance is 200yds on left, just past Motor Nation.